As a reminder, I am out this week on PTO, so we will be running pre-posted Daily Deacs this week (if there is some sort of timely campus news and I don’t mention it, that’s why). Wanted to share some information about a new and exciting program that my colleagues are launching. Some of you may be aware of the various types of “box” subscription services, where you pay a certain amount each month and a box of goodies arrives at your door (Birchbox does beauty products, HelloFresh is a food subscription, HyggeBox replicates the Danish idea of hygge or coziness, GeekBox does comic-related wares, BarkBox is for pets, etc.) 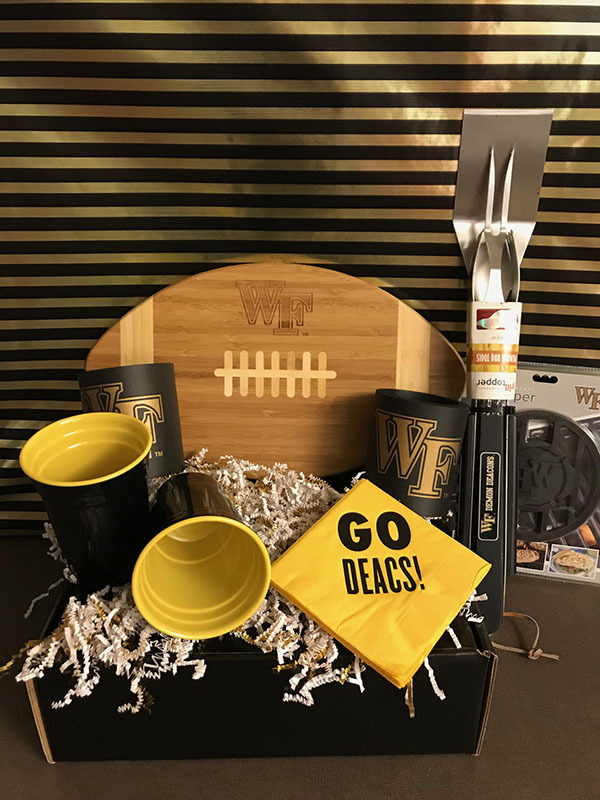 Well, Wake Forest is now going to offer a WakeBox subscription service that offer specially-curated boxes just for Wake Forest alumni, parents and families, and friends. WakeBox will offer three levels of box subscriptions (so you can choose your price point and how much you get in each box). At the right is an example of what the Premium box might look like (this one is for May and includes grill items). You can see all the details, take a peek at some of the items that might be in WakeBox orders, and get subscription information/how to order at the WakeBox website. 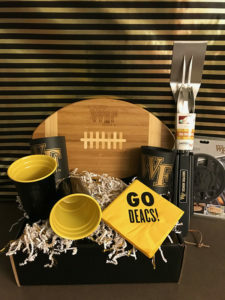 This would be a great way to feel a connection to Wake Forest (especially for those of you who live far away), to sample some of our local foods, and/or to get your hands on custom WFU items that are not available for general sale.